The Archive Project recently announced the third set of grants from its Archival Assistance Fund, established to help not-for-profit organizations identify and maintain archival resources and organizational documents related to the historic preservation movement. This funding program is an example of outreach initiatives on the part of the Archive Project to provide technical assistance to the preservation community while also instilling a lasting archival mindset in these New York City institutions and organizations. This year the competition was considerable, with double the number of proposals than in previous grant cycles. This increase in applicants is a promising sign that archival-focused projects are becoming more vital to the preservation community and that this community recognizes that the Archive Project is there to help. Given the Archive Project’s mission to safeguard and share the story of preservation in New York City, each organization was required in its application to state how its archival collections are significant to the history of historic preservation. The varied responses reveal that despite their unique missions and the diversity of their archival holdings, every recipient institution boasts a record of activism in preservation and a demonstrated commitment to safeguarding the story of those preservation efforts. After the Archive Project evaluated the various proposals carefully, it provided funding to six applicants. Each organization cited special needs for archival assistance, ranging from basic archival supplies and the complete re-housing of collections to digitization projects and consultant expertise on digital file management. The Weeksville Heritage Center (WHC) was founded in 1968 to document, preserve, and interpret the history of free African-American communities in Weeksville, Brooklyn, and beyond. The organization was founded by Joan Maynard after the discovery of four wood-framed houses that were the vestiges of a free black community formed in the 1830s by James Weeks, a former slave. Although Weeksville had once been an independent, prosperous community, by the time of these houses’ rediscovery that past had been largely forgotten and the houses were hidden from street view (they faced an old Native American trail, Hunterfly Road). In fact, the houses were spotted from a plane by Pratt Institute professor James Hurley and pilot Joseph Haynes while doing an aerial survey of Bedford-Stuyvesant for a neighborhood workshop in 1968. The community realized that these historic gems were threatened by slum clearance and acted quickly to restore, protect, and convert the houses into an interactive black history museum. By 1972 the Hunterfly Road Houses were designated New York City landmarks and listed on the National Register of Historic Places. WHC’s institutional records document the story of this community-led preservation effort, conveying how the communities of Bedford-Stuyvesant and Crown Heights worked to preserve this rediscovered history through political engagement, archaeological digs, preservation of the historic houses, the creation of oral histories, and educational programming. These materials also document the evolving nature of the museum, reflected through interpretive plans, records of exhibitions, and reference and research materials on the history of Weeksville. WHC’s larger archival collection includes historic manuscripts, photographs, and archaeological artifacts. The Docomomo-New York/Tri-State chapter of the larger international organization of the same name (which stands for the “documentation and conservation of buildings, sites, and neighborhoods of the Modern Movement”), was founded in 1995. The organization’s mission is to stimulate interest in and educate the public about significant examples of the Modernist Movement; identify and focus attention on situations where important works of Modern architecture and design are in danger of demolition; document structures of this type in the area; and exchange knowledge and ideas about these buildings, sites, neighborhoods, and landscapes. Docomomo’s collection includes the first correspondence and legal documents that initiated the organization, audio recordings of special events and panel discussions, architectural surveys, documentation and research on historic buildings, flyers from walking tours, and correspondence on advocacy issues with city agencies and other preservation groups. These materials trace the history of this relatively new organization and document the preservation history of significant Modern architecture in New York City. Docomomo’s story is one of passionate advocates of Modernism fighting numerous uphill battles to convince officials and the general public that these buildings should be recognized as significant to the area’s cultural heritage. The collection is therefore a treasure trove of “lessons to be learned” for future preservationists, shown in the losses and successes associated with Docomomo’s preservation efforts, with the fate of some of the region’s most fascinating architecture hanging in the balance. Located in Queens, the Douglaston and Little Neck Historical Society (DLNHS) publicizes, preserves, and protects the historic significance of the towns of Douglaston and Little Neck through the collection, research, and dissemination of information to the public. DLNHS’s archive documents the history of the two communities, their architectural evolution, and the day-to-day activities of residents throughout the years. Because of the communities’ distinctiveness, residents have worked to ensure that the area’s aesthetic charm is not altered by insensitive development. To that end, they worked to have areas designated as historic districts by the New York City Landmarks Preservation Commission and began compiling a dossier of materials related to the history of the community. It was through this work that the DLNHS archive was formed. The collection includes historic maps; printed ephemera; historic plans of local homes; complete documentation of efforts to designate local historic districts (including reports, letters, research, supplemental documents, local support, and meeting minutes); historic architectural drawings and contemporary plans that document new buildings, alterations, and additions made to homes since they were first built in the area in 1907; and over 1,200 historic and contemporary photographs. These photographs document the homes and business structures of these two communities via overall views, architectural details, interior views, and pre- and post-renovation images. These resources are a remarkable resource for those researching the architectural evolution of the area, the best preservation practices, and building changes by previous owners. The mission of the Historic Port Richmond Preservation Association (HPRPA) is to provide support for the preservation of the landmark-designated buildings and cemetery of the Reformed Protestant Dutch Church on Staten Island (now known as The Reformed Church on Staten Island), in use by the same denomination for over 350 years. Its archival collection, which dates back to 1696, includes original hand-written birth records, manuscripts, operational records, deeds and contracts, architectural diagrams, studies of the cemetery (one of the 10 oldest in New York City), correspondence, newspaper clippings, photographs, and books. HPRPA’s materials are a rich source of original documents covering the origins of New York City and its role in the American Revolution, a history of the founding of Sailors’ Snug Harbor (a site that became important in the historic preservation movement), and genealogy of significant New York families such as the Vanderbilts. Archives relating to preservation include materials on the efforts to protect the Church—listed on the National Register of Historic Places in 2005 and designated a New York City landmark in 2010—as well as the surrounding community of Port Richmond and other sites on Staten Island such as the Seguine House, a Greek Revival mansion built in 1838 and designated a New York City landmark in 1967. The Church’s history is also intertwined with that of the Preservation League of Staten Island, which has been headquartered there since 1977. The St. Mark’s Historic Landmark Fund is dedicated to the preservation and arts programming of St. Mark’s Church In-the-Bowery, the sponsorship of the Neighborhood Preservation Center, and the maintenance of the historic Rectory that houses the Center. Their collection consists of papers, visual and audio materials, and objects related to the St. Mark’s Historic Landmark Fund and the efforts that resulted in the creation of the organization. 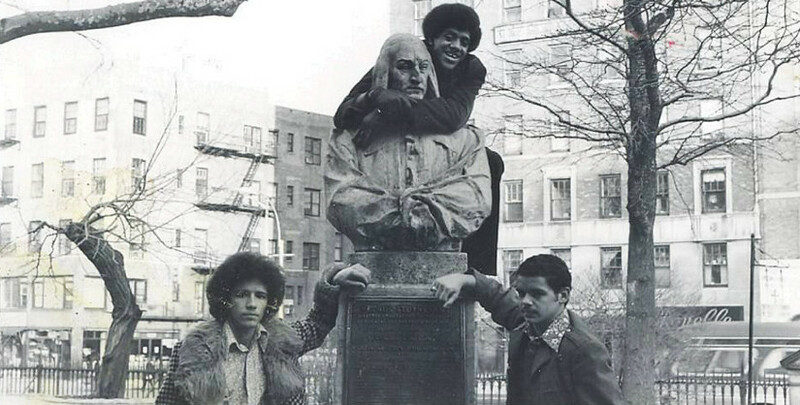 Before the incorporation of the St. Mark’s Historic Landmark Fund in 1979, the Friends of St. Mark’s was started by a group of neighbors who were inspired by and wanted to support the Preservation Youth Project. This project, unfolding at the Church in the 1970s, was a youth training program for low-income residents focused on restoration and the building arts. The Friends would become the Citizens Committee to Save St. Mark’s after a fire devastated the church in 1978, necessitating the need to raise funds towards restoration and rebuilding. Then in 1979, the St. Mark’s Historic Landmark Fund was formally incorporated as a non-profit organization with the mission of preserving and interpreting the landmarked St. Mark’s Church In-the-Bowery site. Since 1999, the Landmark Fund’s major program has been the sponsorship of the Neighborhood Preservation Center, which supports and houses numerous organizations concerned with the City’s multifaceted environment. The collection of the St. Mark’s Historic Landmark Fund, along with the projects and citizens’ committees from which the organization grew, document the preservation of this significant landmark site and provide insight into the efforts to engage the community in the life of the church through art and preservation. The archive also provides details about the two innovative solutions (each among the first of their kind) developed to preserve and maintain the historic fabric of the site, namely the Preservation Youth Project and the Neighborhood Preservation Center. Finally, the collection illustrates the impact one small group of individuals, using preservation as a tool, can have on a site, neighborhood, and city. Started in 1900 by the club women of the King Manor Association of Long Island, King Manor Museum is the second-longest extant historic house museum in New York City and the first historic house to be preserved as a museum in Queens. The museum’s mission is to preserve and interpret the home and legacy of Rufus King through an innovative presentation of King Manor and its collection in the context of life in Jamaica, Queens, in the early 19th century. King Manor serves a largely minority and immigrant community and engages its audiences through historic site tours, interactive exhibitions, lectures, public programs, and community outreach. Through its interpretive programs, King Manor is currently focusing on the role of Rufus King and his sons as national figures in the early anti-slavery movement. In recognition of its architectural and historical significance, the New York City Landmarks Preservation Commission designated King Manor as a landmark in 1966, with portions of the interior designated in 1976. King Manor was added to the National Register of Historic Places in 1974. King Manor’s archival collection speaks to the pioneering efforts of women to preserve history at a time before they had the right to vote and before landmarks preservation laws were enacted. The archive records not only the ways in which the organization operated and transformed King Manor into a museum, but also the struggles involved in doing so. The collection is comprised primarily of paper materials relating to the operations of the King Manor Association of Long Island from 1900 to the present, as well as maps and manuscripts. The variety and depth of these archival collections, which cover nearly 350 years of New York City history, remind us of the significance of the materials that can be found throughout New York City, and how important these collections are as valuable sources of information for scholars and activists. The Archival Assistance Fund has been especially satisfying for the Archive Project because it addresses our mission of making collections more accessible and engenders interaction with organizations seeking to improve the condition and organization of their archives. Helping to make this work possible, even on a modest scale, makes this effort beneficial for all those concerned.